MSE Creative Consulting Blog: How Did Courageous Scientists Create the Storm Warning System? How Did Courageous Scientists Create the Storm Warning System? Hundreds of homes destroyed or seriously damaged. Businesses and schools closed. Hundreds of thousands without power. 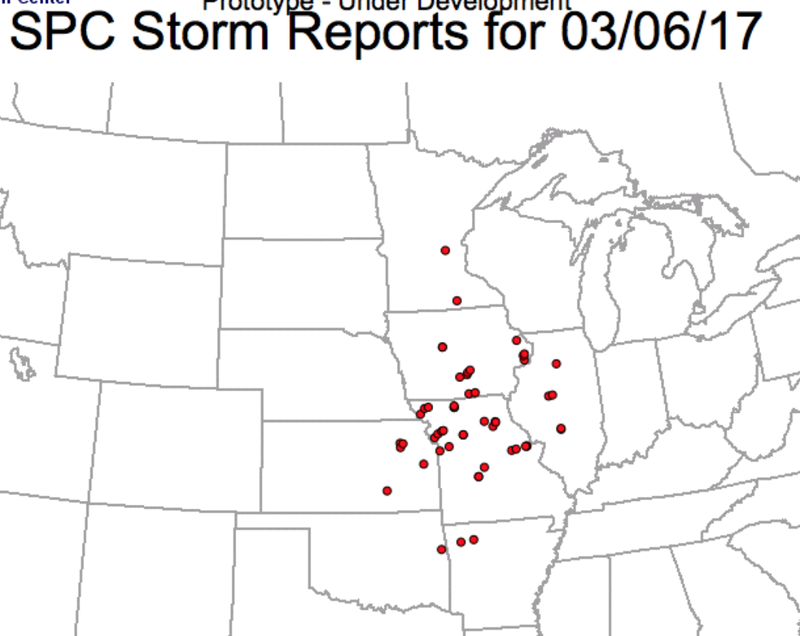 Those have been the result of tornadoes over the Midwest the last nine days. 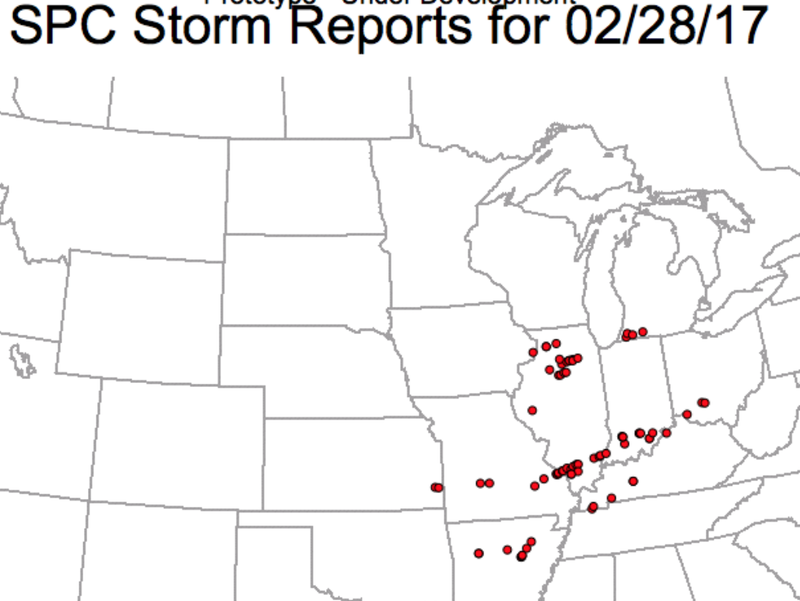 On the maps below each red dot represents a tornado report. 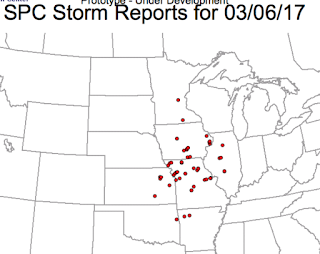 The tornadoes occurred in a number of densely populated areas including the Greater Kansas City area. Almost all of these tornadoes occurred in darkness, when they are especially deadly. There were four people killed in the tornadoes of the 28th. None were killed on the 6th. 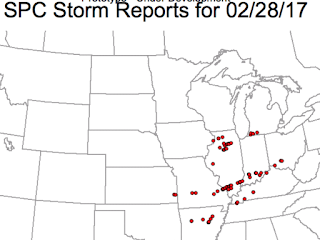 Before the tornado watch and warning system, we would have expected dozens of deaths from these storms. Yet, people have come to expect that TV, smartphones, weather radios and communication media will timely and effective warnings without giving it a second thought. The story of the people who created the warning system is a fascinating one. 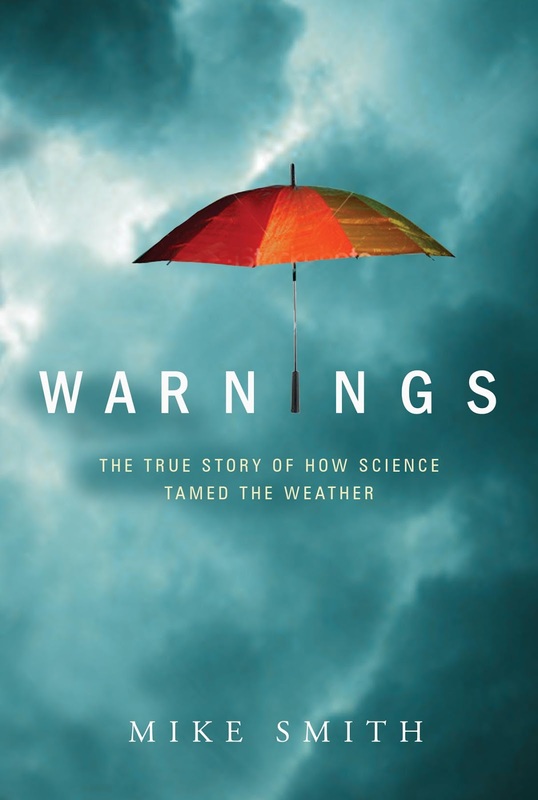 So, I would like to humbly recommend my book, Warnings: The True Story of How Science Tamed the Weather. It is the perfect book for the beginning of the 2017 storm season. Missed one and so did NWS as there was no TOR warning, only a SVR.